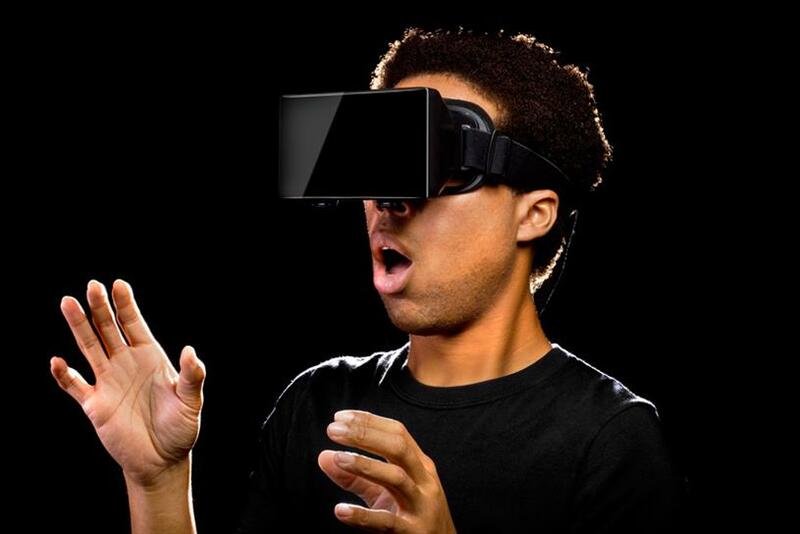 Is virtual reality the next 3D TV? Virtual reality was all the rage at CES 2016. But critics are wary about price, comfort and content. Where have we seen this before? It was the hottest new technology at CES. The tech press fawned and fanboys thrilled. Media buyers adjusted their strategies and advertisers braced for impact. Early adopters rushed to buy the first-generation release. It was, inevitably, the Next Big Thing. Until it wasn’t. In 2010, 3D televisions were all the rage at CES. Four years later, the technology died a humiliating death when Vizio kicked off CES by announcing it had dropped its prototype, citing a lack of content and consumer interest. Six years later, the hype is squarely on virtual reality — as is the skepticism. Will people really wear those headsets? Will they really pay that much? And who will create all that content? The similarities aren’t lost on those who’ve been burned before. "A couple of years ago at CES, 3D TVs were the big thing," said one attendee at an Omnicom client briefing at CES earlier this month, questioning the presenters about their predictions. "Do you really see a world where all content has to be fully immersive? 'Cause it seems to me that, as humans, we just don’t want to work that hard when we’re vegging out from the TV." "I’m not advocating ‘TV is here forever,’ " he continued, "but this notion that everything needs to be virtual and futuristic doesn’t seem plausible to me just yet." It’s question that was asked frequently — if quietly, so as not to disturb the hype — throughout CES 2016. How can marketers and media buyers know that VR won’t go the way of 3D by, say, 2018? There is no guarantee, of course. But brand and media executives see significant differences between the two technologies, even though they are plagued by many of the same issues. The question is whether those differences will result in similar fates. One of the major reasons consumers were turned off from the 3D TV technology was that they simply did not want to wear the eye-straining glasses for hours at a time. In a 2010 Nielsen study, 57% of consumers cited the glasses as a reason they would not buy a 3D set, with nine out of 10 respondents saying they worried it would restrict them from multitasking while watching TV — a media-consumption habit that only become more ingrained as the smartphone era took hold. Consumers who did buy the glasses often complained about them not working. Even today, Samsung and CNET support forums are filled with threads of desperate 3D TV owners complaining about their glasses not pairing with the TVs, or simply not delivering as promised. But watching TV and experiencing virtual reality are two different things. "3D TV was just an enhancement of how you were viewing TV or movies," said Raciti. "VR is an entirely new experience," one that "takes you a different place." Indeed, that immersion may be key to getting people to be OK wearing the headsets — assuming they work. "You're still wearing a plastic thing on your head, and it's not going to be the most comfortable thing in the world," Raciti said, "But once you’ve got the device on your head, you actually forget where you are." If the experience is transporting enough, the device may simply cease to matter. Besides, "the latest VR designs are pretty comfortable," he said. When the first batch of 3D TVs were released in 2010, prices soared to as high as $7,000, and the sets may not have included more than a single pair of 3D glasses — meaning consumers had to watch TV alone, or shell out another $150 to watch with a friend. In 2011, an NPD Group study found that 45% of people who said they wouldn’t buy a 3D TV cited price as the primary reason (42% cited the glasses). That was a 7% increase from the year before. And things just got worse from there. Meanwhile, the Oculus Rift became available this month for pre-order at nearly $600. A lower-resolution version, the DK2, costs $350, and is already sold out. "VR is new, it’s tricky, and in the short term it’s going to be expensive," said Julie Fleischer, manager director of OMD Chicago. Those prices will likely come down over time. And already there are less expensive versions, for those willing to accept a less-immersive experience. The Samsung Gear VR, which currently only gives a 360-degree video-viewing and non-interactive experience, is available for $99, and Google Cardboard — about as basic a VR experience as one can get — costs about $25 (though it was distributed free to New York Times print subscribers last year). But lesser versions of VR may do more to hurt the technology’s long-term prospects than help them, observers say. Ted Schilowitz, a futurist with 20th Century Fox, points out that most of the experiences now labeled VR are actually just 360-degree films, not interactive, immersive experiences. The most prominent example is the New York Times’ much-hyped NYT VR app, which merely places the spectator inside the action but does not give them the power to alter the environment. VR footage created by Lufthansa Airlines and for The Weinstein Company’s new film "Carol" have similar viewing-only capabilities to the Times’ clips. Just as with getting people to wear the headsets, getting people to pay for them will likely depend on the quality of the experience. "The difference is, do you believe you’re fully in the world you’re seeing?’" asked Schilowitz. If these lesser experiences don’t feel real, consumers could walk away from VR unimpressed — without ever experiencing the real thing. In the end, the final nail in the 3D TV coffin was a lack of programming. By 2013, the big pioneer in the field, ESPN, said it was dropping its 3D channel due to "limited viewer adoption of 3D services to the home." At the same time, Sony backed out of a deal to fund 3D broadcasts of sports events like the FIFA World Cup and Wimbeldon. At the moment, most true VR content is aimed at gamers and movie lovers. Playstation 4 games like EVE: Valkyrie let users shoot the opposition from a pilot's seat with the help of the VR headset. P.O.L.L.E.N, lets users explore a space base on Saturn's moon Titan while trying to survive in outer space. "Henry," an animated short film released for the Oculus this year, places the viewer inside the titular hedgehog’s home, where he can go in search of the animal. Henry is even able to make eye contact with the VR user, and will shift his gaze to follow the viewer’s eye movements. The rest of what exists falls firmly into the realm of "nearly VR, but not quite." And there’s good reason for that. For content creators, particularly brands, it makes sense to flirt with lesser versions of VR until they better understand how consumers might use the technology. "I think what’s important in VR in this early stage is not only learning what’s great content, but how it impacts people who are engaging in that content, emotionally and physically," Jeff Miller, director of digital marketing for Gatorade, said. "That’s something we’re really cautious with, and something we’re learning." Gatorade’s first venture into VR was a 360-degree pitching experience seen through the eyes of Washington Nationals’ outfielder Bryce Harper. Launched in September, it required no VR headset, just a mobile device or desktop on which to watch the clip. Aaron Lubor, head of partnerships at Google, affirmed that brands like the New York Times, whose VR app is accessible through the Google Cardboard headset, were currently jumping more at the chance to build the technology, and thinking of content creation after. "When we had initial conversations with a brand about VR, we then started creating the actual device. Our question is, ‘Do you have any content to play on it?’ " Lubor asked. "Make sure you have content for it. Content is something we have to experiment with" to give more optimal VR experiences for users, "and find out what comes next," he said. Despite the caution, there is reason to believe content creation for virtual reality is already outpacing what was created for 3D TV. An October 2015 study found that 75% of Forbes' Most Valuable Brands have created some form of virtual or augmented reality content. Though the lion’s share of that content surely falls into the "dip a toe in the water" category, it still represents a massive influx of entertainment for anyone with the means to access it. "I’ve never seen this much excitement from advertisers over a medium," Raciti said. "The travel industry, auto manufacturers, they are all about VR. There's a tremendous amount of content, even though we're not on mass scale yet." The trick, as always, is making content that’s not only good enough to make consumers crave it, and are willing to pay the price — whatever that may be — to experience it. "The thing we really have to watch out for with VR is creating experiences, and telling stories that people actually want to listen to and engage in," said Sheldon Monteiro, chief technology officer at SapientNitro. "We will have to create content that actually allows us to tell all those different stories, and still keep them all consistent with our brand."